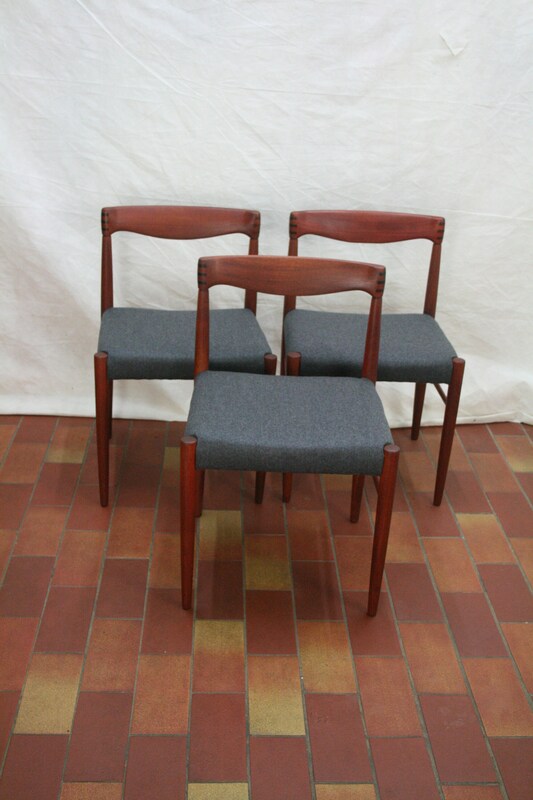 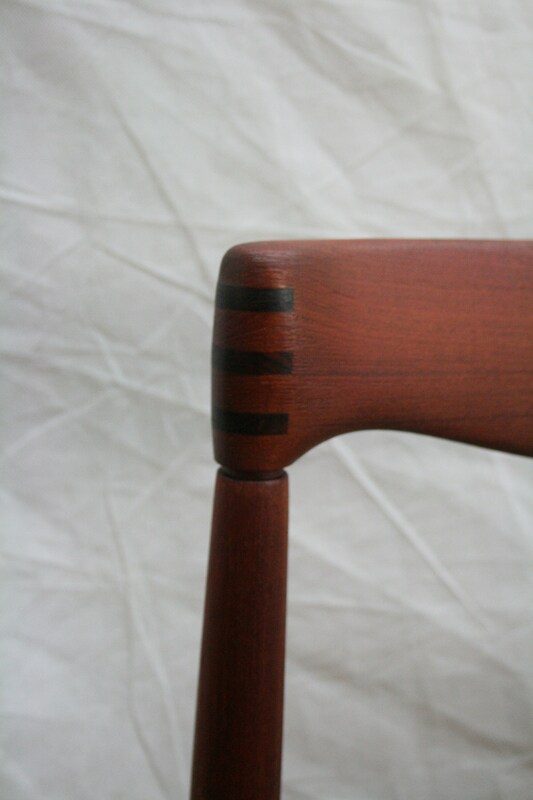 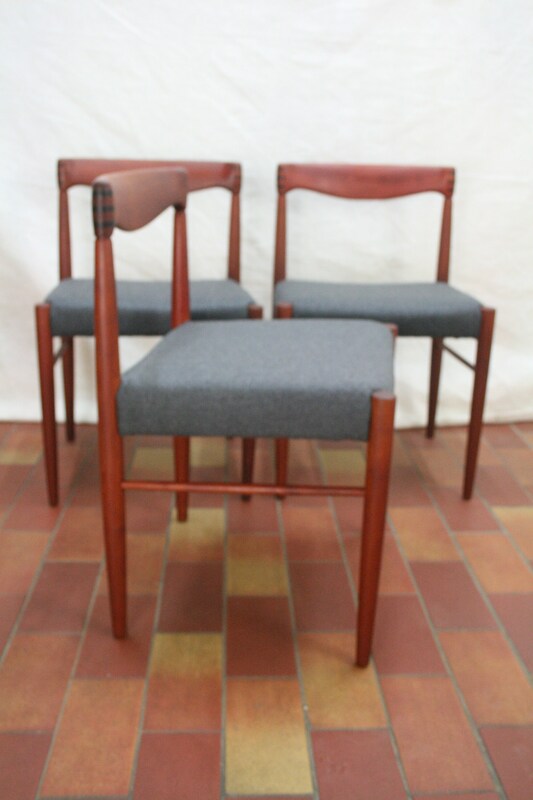 Three Danish teak dinning chairs by H K Klien for Bramin ... 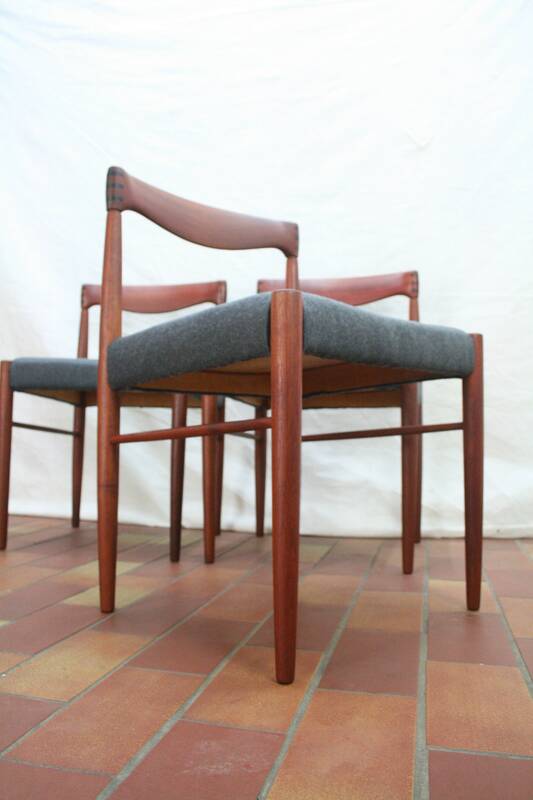 These are in well nice condition both the wood and uphopstery . 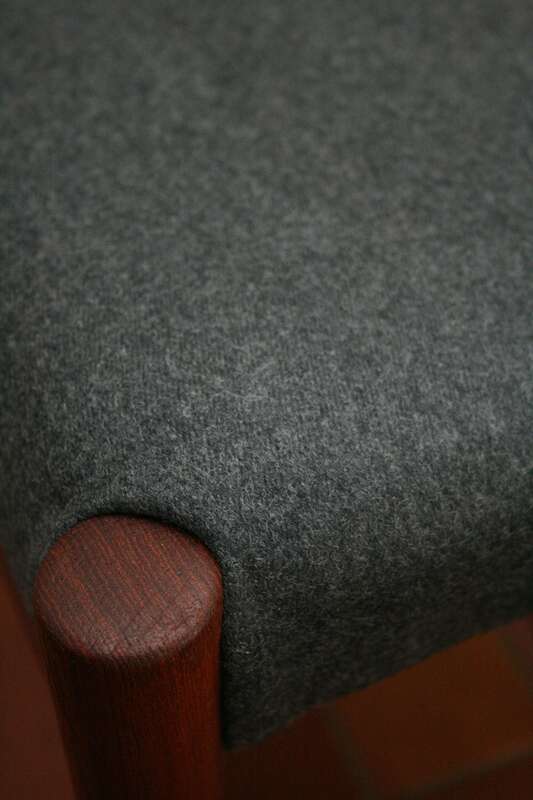 They are upholsterd with i think 100% wol and sit comfortabley .